What's your opinion about print on print? I think that in some cases it goes perfectly.. The past 2 years more and more fashionistas tend to do it with great success..
e.g. 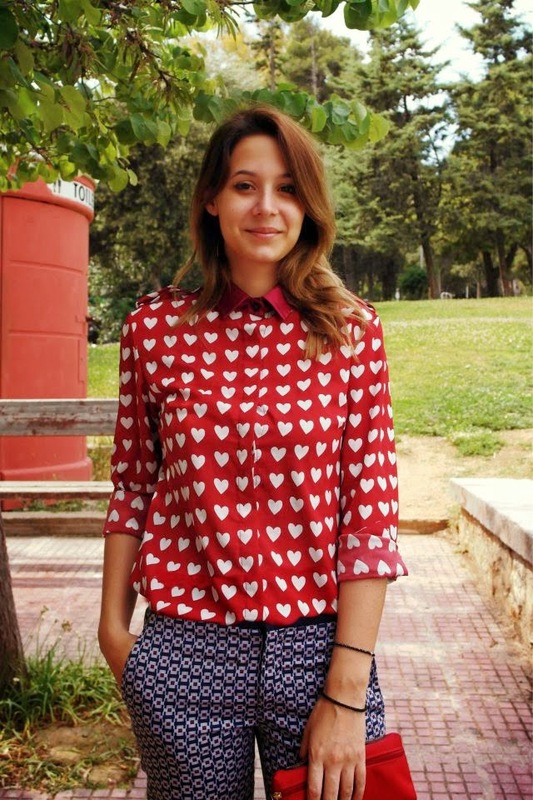 in my outfit I combined the red details of the pants with a blouse, in which the red color dominates.. I don't know if I explained it well enough, but at least I tried! Very nice pants and colours! I love the prints and they go so well together! Great outfit! I am loving the print clash! Love the look, especially the shoes!. 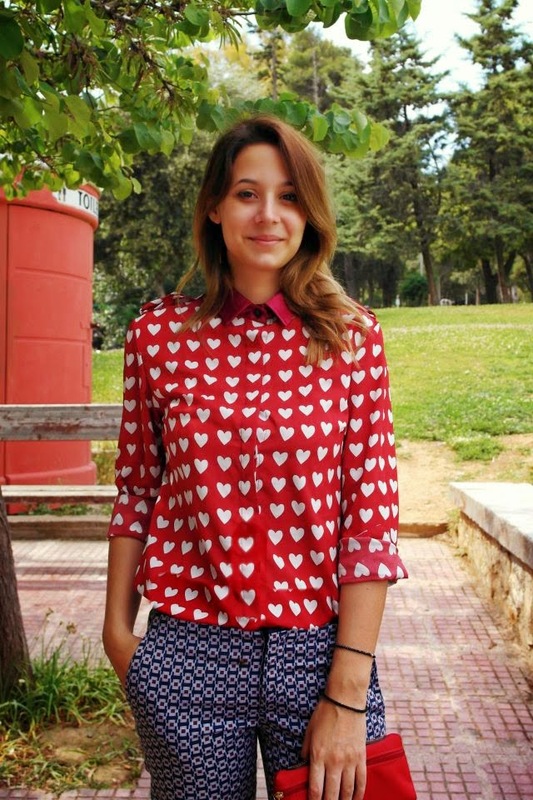 Perfect pattern mixing, it suits you so well! loving the print on print! Beautiful look! You wore the print on print trend perfectly! Love these mixed prints, super chic. I love it! Also the way you mixed it is really nice, I love how the shoes make the look match! Beautiful look, i love everything about this outfit. LOVE. The way you mixed the prints is excellent! This outfit is really cute. Love the mix between colors and the shoes are amazing! That heart print is just too cute!